so back in july of last year. this would be a more recent photo. the rest of the fabric. & use them to keep my most current wips. and it makes it so you can stack them like this. how do you store your works in progress? share your wips & how you store them! Nice start on the big boy bed quilt :). 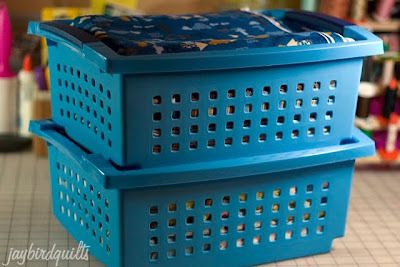 Those stackable baskets are a great idea for WIPs. I tend to just have WIPs in piles or bags. Not the best and certainly not very efficient. I may have to make a trip to target. like i have any room to talk. I have a pile of that fabric too...waiting for a grandson to come along, currently its all sweet girls. Nice ideas on the baskets, I'm a 2 gal zip lock type right now. What is this thing ~neatly, stacked storage?~ I thought everyone had piles of WIPS stacked over every surface of their house! HA! He's going to love his new quilt! Good start! I am a hand sewer so i keep my wips on the back of the couch! That is great fabric, can't wait to see the finished product! I have a bin on wheels that I keep my WIP's in, it rolls right under my sewing table when I need to clean up the sewing room. Thankfully, I only have two WIP's right now! 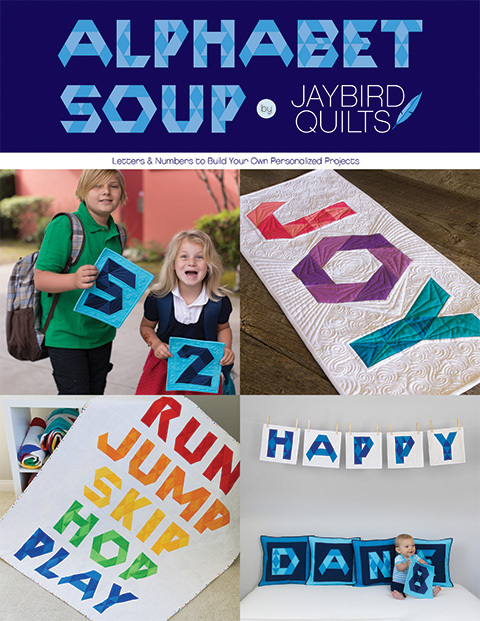 I love that you're making a larger version of the play school quilt! I recently got a Make Life layer cake and jelly roll so I could join in the fun too :-) My WIP storage is kind of sad - they pretty much just sit on the guest bed in my sewing room. But I find that by not storing them away, I'm motivated to finish them faster because they're in my way! 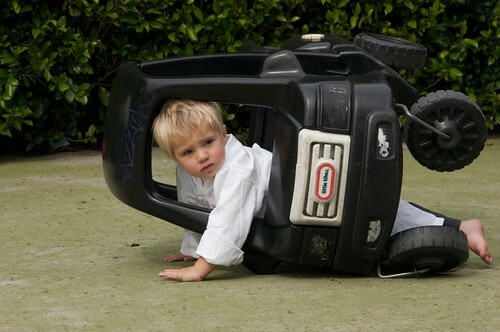 So perfect for a little boy. I love the fabrics. 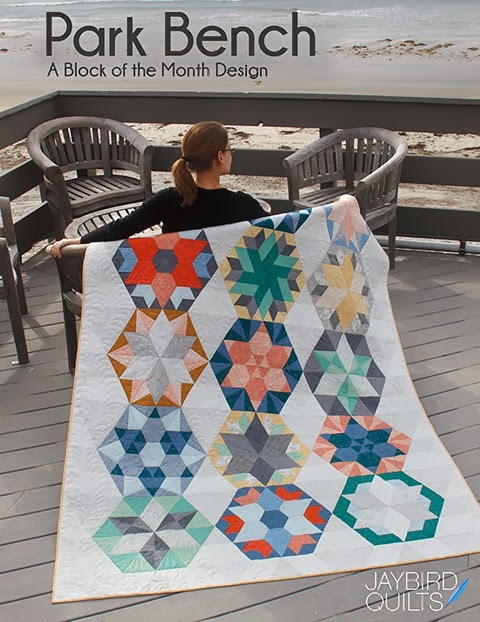 Oh, a big boy quilt!! 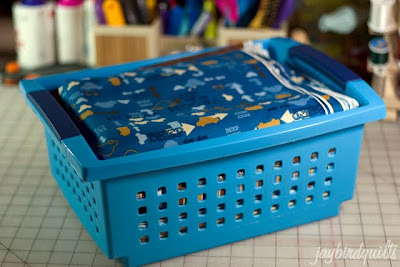 I'm using 2 gallon ziplocks right now, but I'm lovin your stackable bins - so neat and organized!! 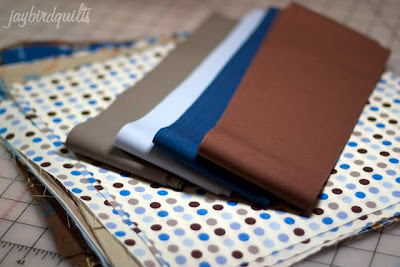 I love the Beep Beep fabrics! 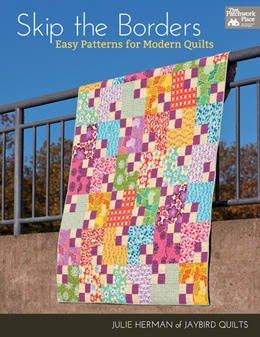 I used some for a quilt commissioned last yr and I have some leftover still. My WIPs are folded and stacked on the top shelf in my studio... I don't have too many things going at once so it doesn't get confusing. Much. 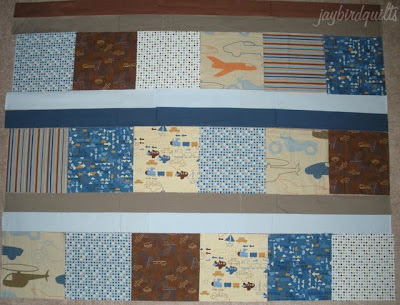 I love your play school quilt and what a cute idea to make a bigger version! 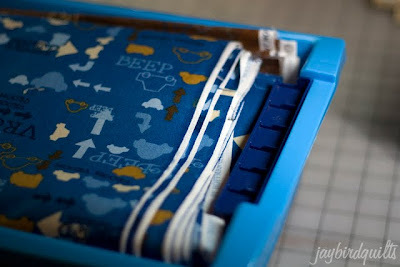 I love the beep beep fabric... too cute for boys! On a side note, I have some of those bins from Target and here's the thing... I had NO IDEA they stacked! Haha! Thanks for teaching me something new about something I already own!!! It is coming along so cute. I showed E the pictures and he loved the fabric and was excited about it. We ate so lucky to have such talent in the family to bed such a cute original bed quilt. 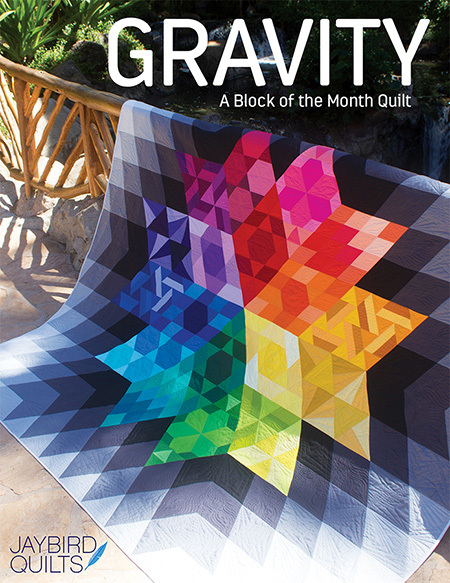 Can't wait for the finished quilt to come home. I love Beep Beep! and I love those bins! 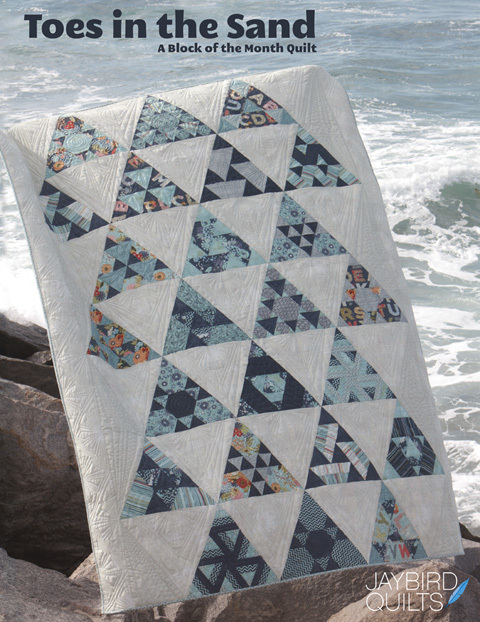 Can't wait to see all the coordinates for the quilt! It is a gorgeous quilt for a so sweet nephew. I just bought a bunch of bins for my wip. They don't stack as well as yours do though. My kitchen table is where I sew, and I usually have 2-3 projects going at a time. I bought those 2 gallon zip bags, they work well. I then put those in a square basket I keep in the kitchen. I try to keep it clean, but it's hard haha :) I have some of your blue bins though, I use them in my living room for Wii stuff. 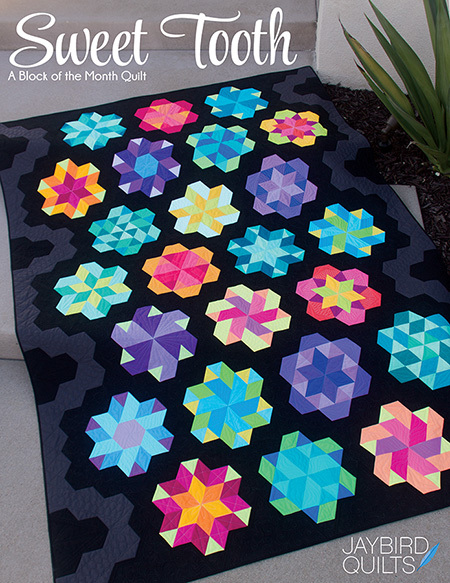 The baby quilt is adorable, great colors. Your nephew is a doll, they grow up so fast.